The Justice Department can continue to pursue charges against mortgage giant Quicken Loans over alleged FHA lending violations. The DOJ sued Quicken Loans in April of last year, accusing the lender of submitting hundreds of improperly underwritten FHA-insured loans. However, Quicken Loans refused to settle, instead opting to take the case to court. The lender sued the DOJ, accusing it of suing in order to get companies to settle merely to avoid costly legal battles, according to a HousingWire report. The government quickly countersued Quicken Loans, alleging that the company violated the False Claims Act. In December, a federal judge tossed out Quicken Loans’ lawsuit against the government. However, the company continued to insist that the government’s lawsuit against it had no merit. Quicken had asked U.S. District Judge Mark A. Goldsmith to toss the government’s entire lawsuit. While Goldsmith denied the request, he did narrow the time frame covered by the litigation, HousingWire reported. The DOJ had originally alleged that Quicken’s fraudulent conduct occurred between Sept. 1, 2007 and Dec. 31, 2011. However, Goldsmith said that the stature of limitations would only allow the government to sue over claims on or after April 23, 2009. He also said the government hadn’t supported its claims that Quicken manipulated data during the loan process, according to a report by the Detroit News. While Goldsmith tossed those portions of the government’s lawsuit, he allowed the rest to stay in place. “Quicken Loans is pleased the court recognized that portions of the Justice Department’s overreaching lawsuit against the company exceeded the bounds of legality and were dismissed, narrowing the claims significantly in terms of time frame and scope,” the lender said in a statement to the Detroit News. 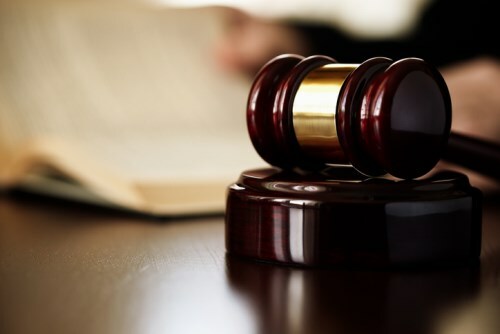 The trial over the government’s claims against Quicken will begin in April of 2019, according to HousingWire.